Instrument trouvé à Bruxelles par Alan Rubin et vendu en 1985 au Powerhouse Museum à Sidney en Australie. This instrument is not only the oldest musical instrument in the museum’s collection but also possibly the oldest keyboard instrument in a public collection in Australia. 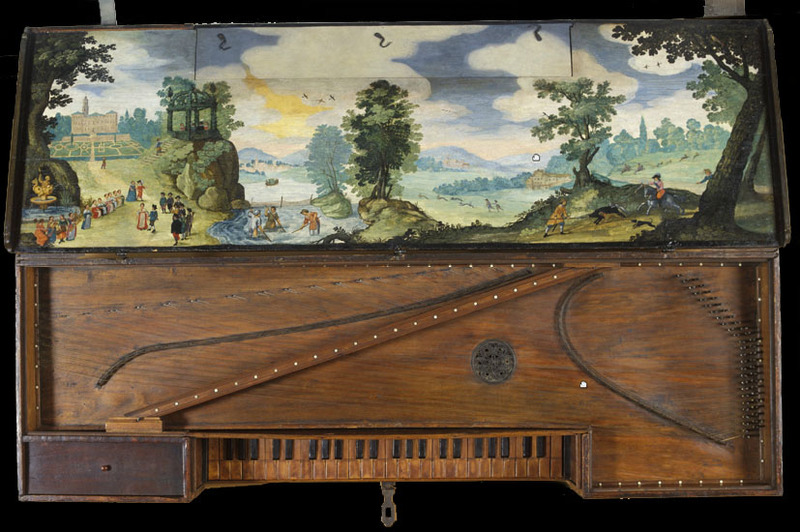 It is representative of the broad style of plucked string keyboard instruments common in several parts of Europe from about the fifteenth century until the eighteenth century that featured lid paintings as an integral part of their artistic expression. Its significance lies in these main attributes. The instrument has a compass of 4 octaves with a short octave in the bass. 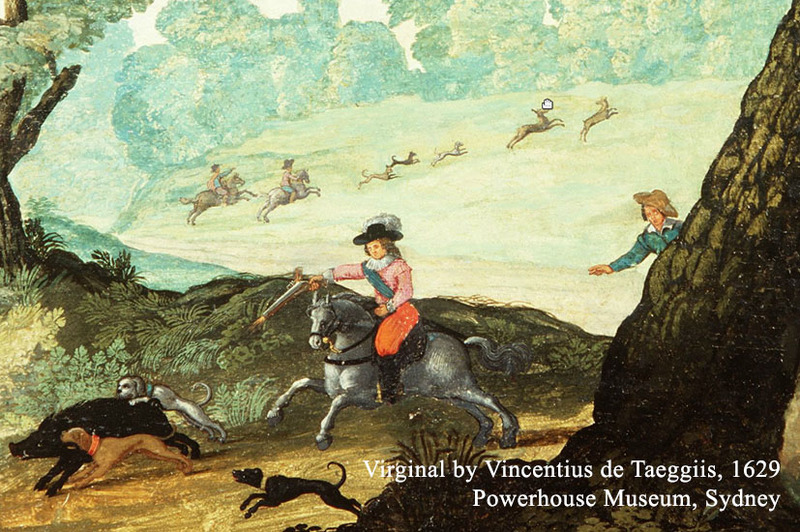 The painting possibly dates from a later period being in an eighteenth century Italian style. A recent series of ultra violet and infrared images of the painting revealed repainting of some parts with the possible addition of a human figure to the group on the left hand side and to the front of the couple dancing. Not a lot is known of the previous history of this instrument. It appears to have still been in Italian hands during the 1830s judging by an inscription on the instrument. 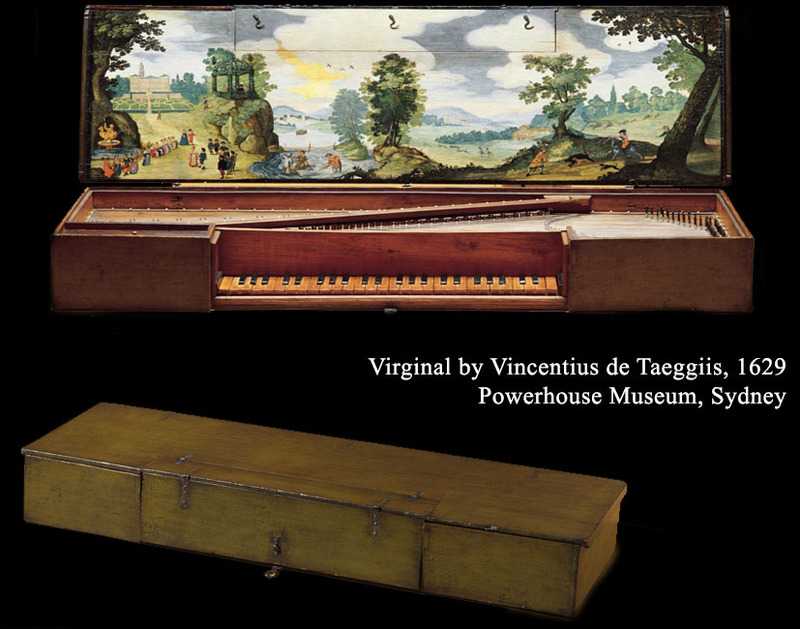 Donald H Boalch in Makers of the Harpsichord and Clavichord 1440-1840 (Clarendon Press, Oxford, 1995) suggests that this virginals is probably the same as one by de Taegis that was a part of the Savoye Collection in Paris and was sold in 1924. 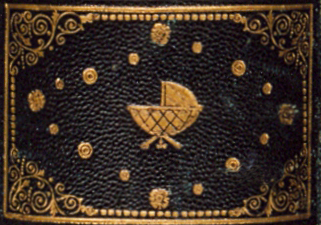 By all accounts it seems likely that this instrument is the only existing example by this maker. Vincentius de Taeggiis was a member of the religious order, the Servites of Mary in the convent of San Giorgio in Bologna. He was part of the household of Cardinal Ludovico Ludovisi, a nephew of Pope Gregory XV. 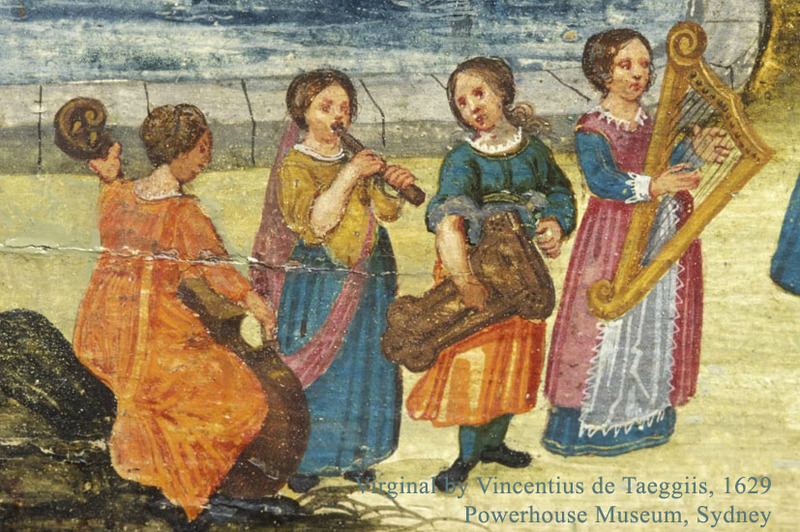 According to existing records in the archive of the Servites of Mary in Rome there is no indication of the role he played in the household or whether he was as a carpenter, instrument maker or musician.